In the 1920s and 1930s between the days of auto camping on unauthorized sites or municipal parks, and the development of modern motels in the 1950s, tourist cabins provided simple overnight accommodations for motor travelers along the Lincoln Highway. From the tiny cabins with bunks without indoor plumbing, to the luxury cabins with steam heat and upholstered furniture, travelers were charged from $1 per night up to $2.50 or more. Some cabins included bedding, dishes, and tableware for an additional 50 cents. Finding clean cabins was the main goal for tourists in this era. To meet travelers’ needs, oil companies began to publish lists of approved cabins and collected information on their condition. The Conoco Travel Bureau published free brochures for various sections of the United States in the 1920s and 1930s. These brochures were available to Conoco customers at gas stations. Indiana cottage camp locations were included in Brochure #5 for the North Central Section of the United States that included Minnesota, Wisconsin, Iowa, Illinois, Indiana, Missouri, and Michigan. Over 200 camps with over 225 cabins met Conoco’s approval and were listed for Indiana tourists. 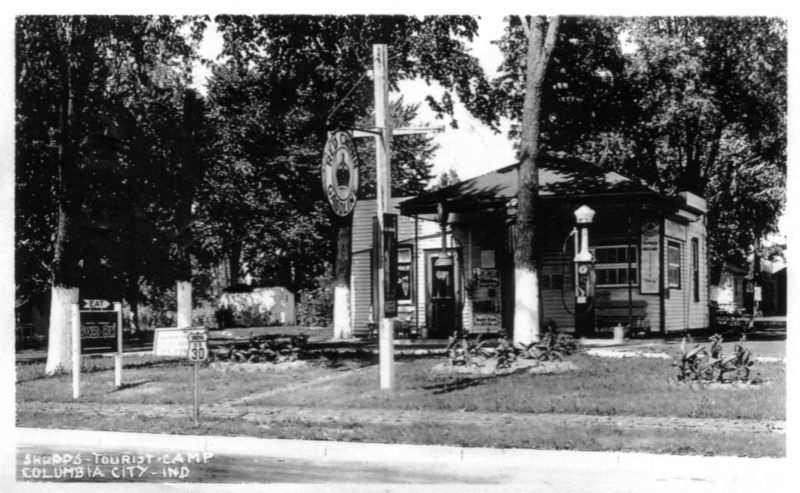 As we research the history of the Lincoln Highway in Indiana one begins to wonder what became of all of these cabins. Were they incorporated into a motel? Were they moved and utilized as garages and storage buildings? Were they bulldozed, burned, forgotten? Can any of them be found, restored, and interpreted as part of Indiana’s roadside history? 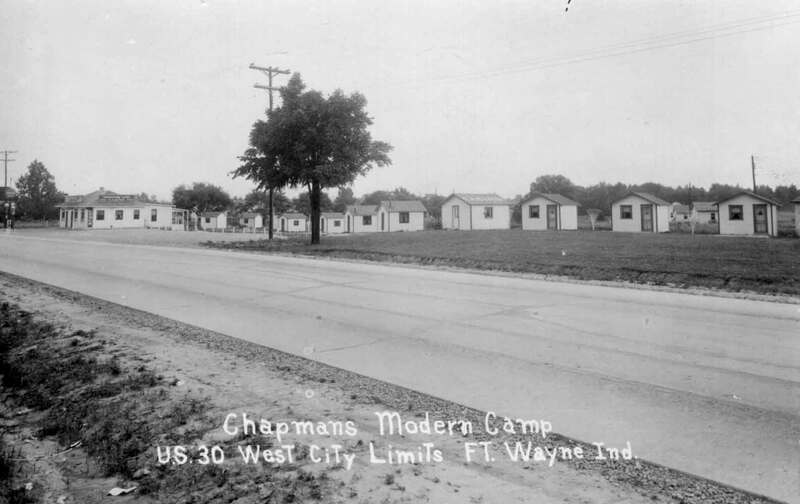 If you have information about the owners of these camps; experienced a camp as a traveler, owner, or worker; or have other tidbits of history to share about any of the cottage camps listed below, the Indiana Lincoln Highway Association asks that you share that information by contacting Jan Shupert-Arick, President, at janshupert@yahoo.com. Information may also be mailed to: INLHA Office, Tourist Cabin Project, 402 West Washington Street, South Bend, Indiana, 46601. Special thanks for Russell Rein for sharing the Conoco Travel Bureau brochure used as research for this article. I have loaned out my entire Indiana Lincoln Highway postcard collection (presumably the largest.) I know I have two real photo postcards of Milliken’s. These are actual black and white photographs developed on postcard stock. I believe these to be advertising cards, rather than personal snapshots. When I get my postcards back in May I will scan these two images and send them too you, and post them on the website. We did not know exactly where this camp was. The Lincoln Highway west of South Bend (Lincoln Way West) became US 20, so Milliken’s would be on the parallel SR 2 south of the Lincoln Highway. The Lincoln Highway would follow SR 2 but only west of Rolling Prairie, through La Porte to Valparaiso. The camp is still of interest as it would have serviced Lincoln Highway travelers. Thanks for getting back back with us. I think you went to high school with our President’s husband – Bill Arick.